Man, if only traffic were a myth. But we all know it's pretty far from a myth. Getting stuck in traffic is one thing, but when you get rear-ended, that's when the real dread begins. Assuming everyone is alright, the next best scenario is a friendly highway patrolman comes along and assesses the situation. State Troopers can help make sure that little fender bender is concluded safely and easily. That's why you probably one to be one for Halloween, right? To make sure traffic gets along safely? We thought so. Luckily, if you've always wanted to be State Patrol but you didn't want to quit your real job and go to the academy and go through rigorous training, then this costume is the way to go. No big commitments here, you just slip it on and bingo, you've got the look! So, what's all included here? You've got the shirt (the necktie is already attached. Handy!) and even has a realistic badge to point at when you tell people you've come to investigate the scene. No worry about the lower half either because this has pants, too! The hat tops the whole look off. You're going to look pretty legit as a State Trooper, but that doesn't mean you ARE a State Trooper. Don't play any tricks on unsuspecting folk. 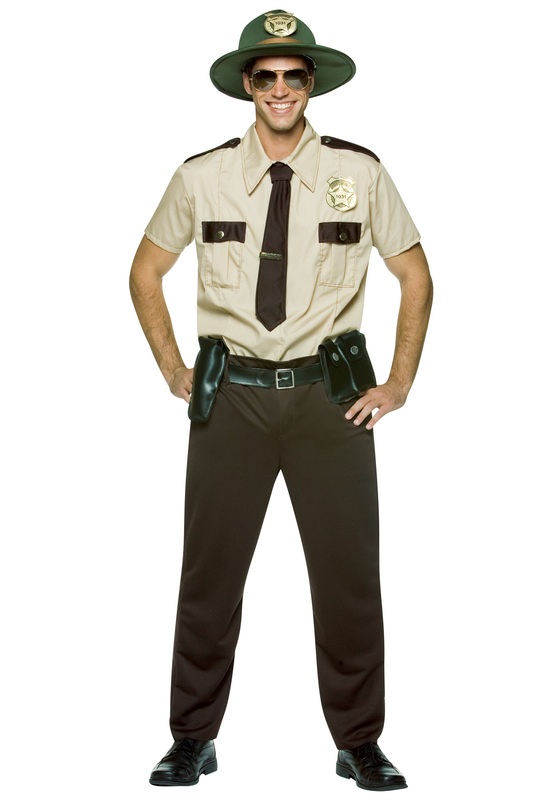 Even though the uniform is fake you should still represent law enforcement with respect, and you can do that by being kind to everyone you meet while wearing this costume, and if you see anyone in need of help, lend them a hand or call for backup to the REAL State Patrol. That's how ya have a truly happy Halloween!